What they're saying about Susan Maccoy! 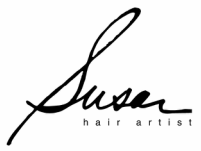 Add a post about how Susan gave your hair a new look and a new outlook contact page! I walked by dogs in the rain and no Frizzies! REALLY! My hair stays silky and smooth blow dry to blow dry. Post a comment on how Susan worked magic on your hair...Click here!